Pentax would be foolish to abandon the K-mount, especially since they've already developed a reliable AF technology with the K-mount. Even with a MILC, there's no good reason for changing the mount. Although, I suppose since we're talking an altogether new technology (for Pentax), it wouldn't hurt much. Why? Because whether the mount is changed or not, an adapter will still be required to use the old K-mount lenses. It's just me, but I think Pentax shouldn't even bother with an APS-C MILC. Go straight to FF because that's where all the interest will be eventually. Look at Sony -- their APS-C MILCs are almost on life support, while the A7-series are hugely popular. 645D marketing beauty shots were taken with a Hassy, IIRC. I know. They learned zero from 2010 to 2014. I don't think that is an issue in 2017. But they lost a lot of sales over the past 7 years. Anyone noticed that there are very very few users for the K-70? Did you come here from the 1950s in a time machine? 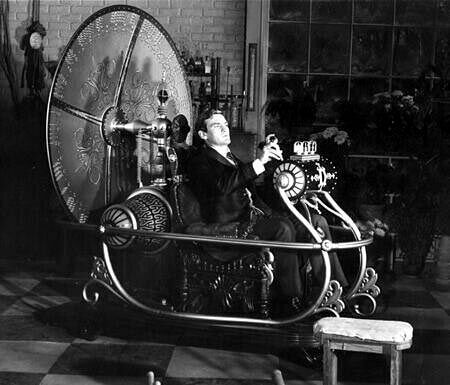 Yes, a time machine .......its all coming to getting for you in your mind ! You see it good. The problem is that in the past years everyone just thought that it was Okay and it doesn't matter wich camera you use. And it's not. They didn't use an agency. They hired a photographer they knew personally. He made some very nice images. Composite images. Person with K-3 in a studio for a green/(or white) wall (made with D600), some nice photoshop over it and that all in background that was an image bought from a stock site (that also served as a book cover ). Nice job, nothing to do with Pentax. Last edited by RonHendriks1966; 12-18-2016 at 03:25 AM. Fact: A few months after the K-01 was discontinued, they re-released it in Japan in a blue and white motif due to demand and its visual appeal. In other-words the camera, while it was largely considered unattractive ( which is bad in a global market space when you're in the business to sell stuff), was still liked by people regardless. Why is this so hard to get across? To claim something as ugly as fact is just plain wrong. Which is what your original quoted statement said - quite clearly. Popular thought/opinion does not make a truth/fact. Whilst it is true to say that popular opinion considered the K-01 ugly, it is not true to say that everyone considered it ugly. Well, when you've got shipping containers full of K-01's, REJECTED from across the globe. They unpacked those K-01's and set about rebodying them. I guess someone had a bright idea of turning it into the Smurf model, and selling and marketing it to the Anime hipsters in Japan. The Japanese market is a very unique market. You can argue and go on and on and on about your point, but the camera is ugly .....you either accept this or you don't. I nearly bought one and maybe if I could get one for next to nothing, I might give it a try. Yes its ugly, but I would buy one. Like I said before, I have a Fujifilm camera, and its ugly too, but actually has super-dooper high ISO performance. Within the concept of the K-01 series, someone had a bright idea to make the K-01. The design brief was to make the camera shoot whilst standing up, and also standing on its side with the 40mm 2.8 XS lens. So the design brief is for a brick shaped camera with K-30 internals. How do you make a brick look attractive .......get in an outside designer with a big name, and let him turn a brick into something attractive. It did not work. Even if it had have been a beautiful camera, people would have complained about the lack of EVF, new short filangee lens mount, auto focus speed, lack of tilty swivel screen etc etc etc. When a manufacturer does a half-a**ed job on a camera, they get PUNISHED in the market place. Pentax probably suffered greatly for this camera, however Pentax has now learned that the market is fickle, buyers are more intelligent, prudent and sophisticated than what the manufacturers give us credit for. When the cost of the camera is as much as the cost of a good washing machine, they want to know that they're going to be getting something of value. Now there was also the Sony NEX camera that came out earlier and was a huge hit with its super compact size, silver metal stylish finish and Pentax was trying to emulate that effort. A thin and slender metallic NEX versus the fat, boxey, plasticy Marc Newson 1920's mirrorless. Lets stop kidding ourselves, the K-01 failed in the market place ...which is a fact ......and that fact had something to do with the way it looked. Its all horses and carts where I'm from ! As to whether or not the K-01 failed in the marketplace because the majority of potential buyers deemed it to be ugly, what we have here is opinion. What we lack is specific survey data that validates that opinion. Sales data only tells us it failed, not why. Yes, a total mystery why the K-01 failed in the marketplace .........and the mystery shall continue on Pentaxforums ! If you do MATLAB and programming, syntax is everything .......... then autocorrect should be easy. Last edited by zoolander; 12-18-2016 at 04:01 AM. It's not like you've formulated perfectly grammatically correct sentences either. A single typo and apparently it's the end of the world. Sheesh. You should try writing multiple 80 page engineering documents, there's bound to be errors - that's why they get reviewed by multiple people before going into approval and publication. I'm a male model, I don't have to spell goodly and grammaticalize da best ! I was very tempted by the K-70 but stopped when it became clear that it has 2012-era focusing system that isn't up to current standards. A pity because in other respects it is a very good camera indeed for its level of the market, highly likely the best of all in fact. I think you will find that sales of mid-range DSLRs are pretty down for all the camera-makers, not only Ricoh. I just don 't understand Ricoh continuing to issue stuff with such obvious weaknesses since these attract minus marks from everyone who reviews or comments on it and are such out-and-out sales-killers. For me, a K70 and a 16-85mm would be an extremely good combination, but only with at least reasonable AF up to a D5500 standard, say. If Ricoh continue this pattern into a mirrorless camera, then I just don't see much changing. The three things which let them down every time are AF, video and coms/apps. I find it soooo hard to understand how Ricoh are apparently unable to see it when about 99.9 per cent of their customers can, though I guess you can say the same of several of the others companies too. Looking at your gallery I do not see a single pic where you would need tracking AF. So you are being a gear head. Stop this silly "Attack of the Pentaxians". It doesn't make the brand look attractive for outsiders! The K-70 would be a better camera with some of the newer components that Pentax has. This message is hidden because RonHendriks1966 is on your ignore list. It's as visible as the K-S1 was after the 2014 Photokina. I think I am simply someone who doesn't spend £1000 (inc lens) on something that doesn't work properly, but each to their own If the AF side of things isn't important then as I said the K70 strikes me as the best of its current crop by quite some margin. I know that I would end up frustrated by it. A few times a year we go horse-racing or to an event and everyone's camera tracks except mine, etc, etc. The official reason for making the blue K-01 is continued customer demand (in the home market).